This entry was posted in Kollywood and tagged Anbur, Aruldhass, Arun, Immanuel, Kajal Agarwal, Karthi, Karthik Sivakumar, Kollywood, Lakshmi Ramakrishnan, Madhi, Mahendran, Naan Mahaan Alla, Susindran, V Jayaprakash, Vinod Kishan, Yuvan Shankar Raja. Bookmark the permalink. Hmmm…I’ve been putting off writing about this one myself, and I think you’ve totally pinpointed the problem I couldn’t quite put my finger on (I was basically watching the film because I love Karthi, and was willing to overlook a myriad of faults)…it really doesn’t know what kind of film it wants to be, and it veers between genres erratically. Not one of my favourites, but like you point out, there are some well-done parts. Thanks. 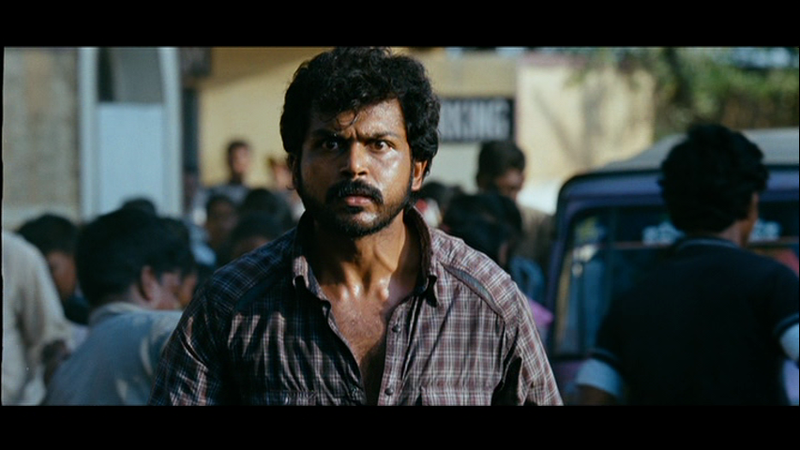 I really like Karthi too, and I think he’s good for most of the film. I like the way Susindran filmed both Jeeva and Priya to be much more ordinary people than is usually the case for the hero and the heroine. For me it’s the inconsistencies with the plot in the second half that cause the most problems and I didn’t like the end though – it seemed really out of character for Jeeva to be so callous. But then the title I guess does say it all! The first time I watched NMA I also felt like the difference between the two halves was too jarring. However, after thinking about it, I realized the structure isn’t that different from run-of-the-mill South Indian masala films, where the first half concentrates on the romance with the villain as a subplot, and in the second half the villain takes over and the romance becomes the subplot or disappears altogether. It’s just that the style of NMA is so much more realistic than the cartoony South Indian masala films, that this difference becomes much more obvious. I also really liked the villains in the movie. They’re psychos in the style of Criminal Minds and therefore much more scary than the cartoony goondas or corrupt politicians usually seen in South Indian masala. 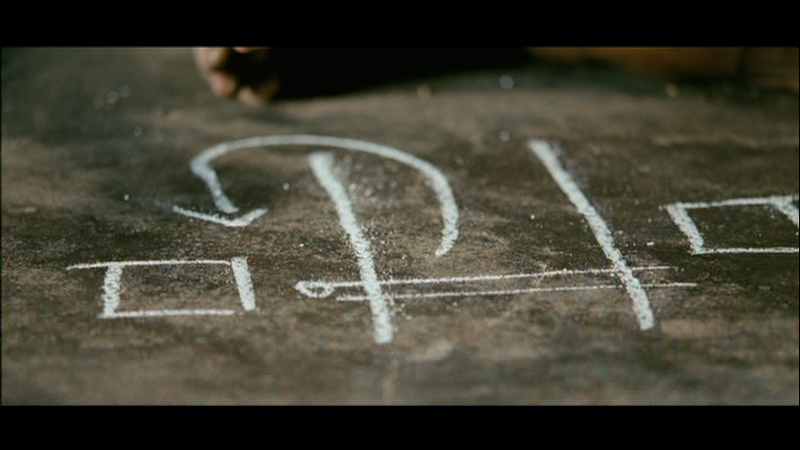 I also think this movie is remarkable due to the amazingly natural performance of Kajal. IMO Suseendran must be a genius if only for getting that performance out of her. I think this is the best performance of hers I have ever, and probably will ever, see. You have a good point, but I think that a lot of the realism is lost in the second half. It’s definitely one of Kajal’s better performances though and I really would have liked to see more of her! The villains were very realistic – up until they were able to take out the top thugs in Chennai at any rate, but you’re right – very much like the kids on a lot of crime shows. Great review, although I’m disappointed that you guys didn’t enjoy the movie as much as I did. I agree that the first half and second half are totally different, but the realism of the whole movie makes up for all the other faults for me. I totally loved the first half and was really engaged during the second half also. I didn’t like the climax either. 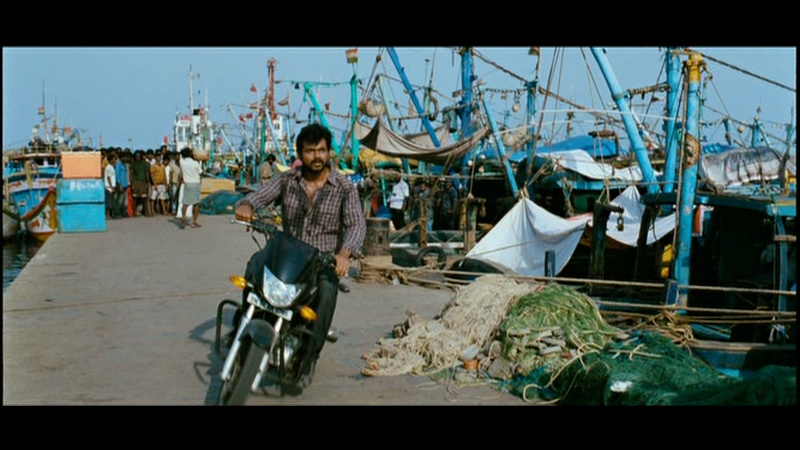 Like others said, wonderful acting by Kajal and of course Karthi brings his own flavour to every movie. I really wanted to enjoy it more because the first half is good and the fact that I kept recognising parts of the city made it so much better for me . Good to know there are a few of us who didn’t like the end – it seemed so out of character for Jeeva IMO.